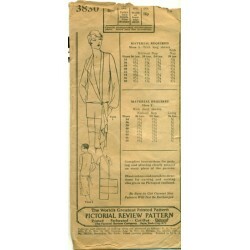 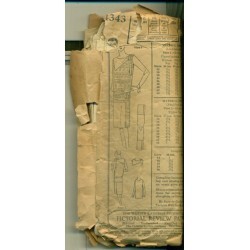 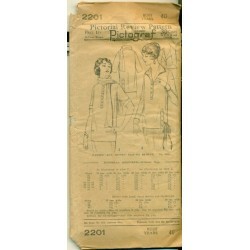 A 1920's dress sewing pattern from McCalls! 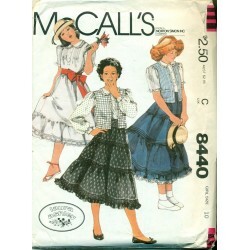 It has a drop waist which was so popular in that era. 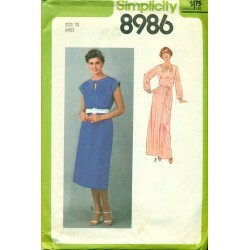 There are several different collar styles available in the two versions of this nice dress. 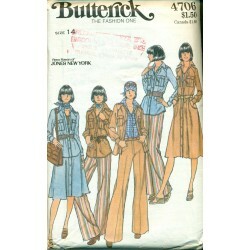 Long and short sleeves - button up front. 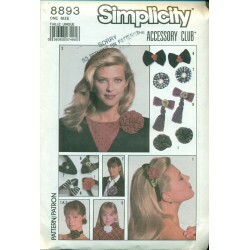 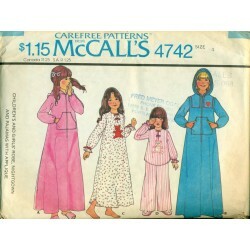 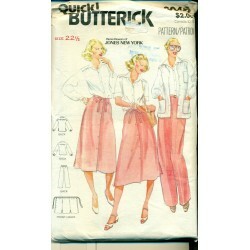 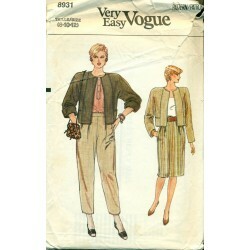 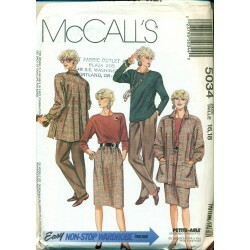 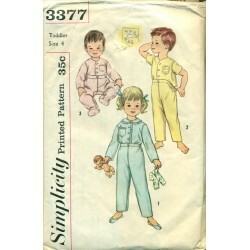 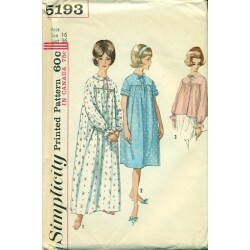 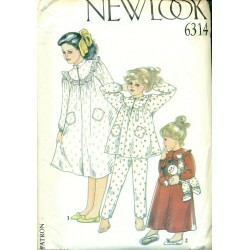 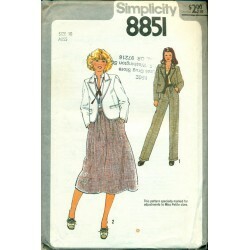 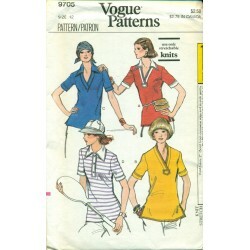 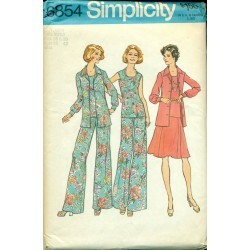 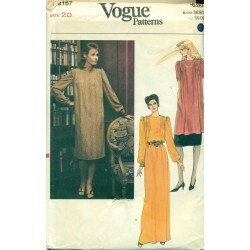 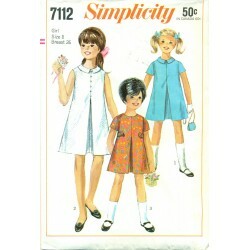 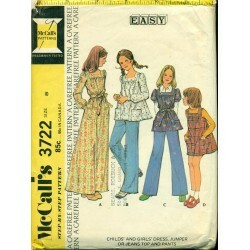 You can sew yourself a nice twenties style dress with this pattern! 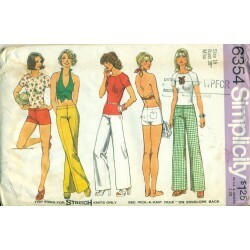 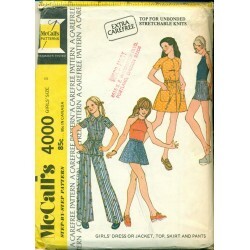 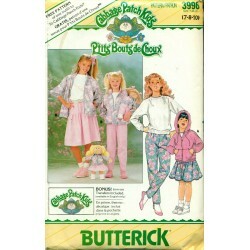 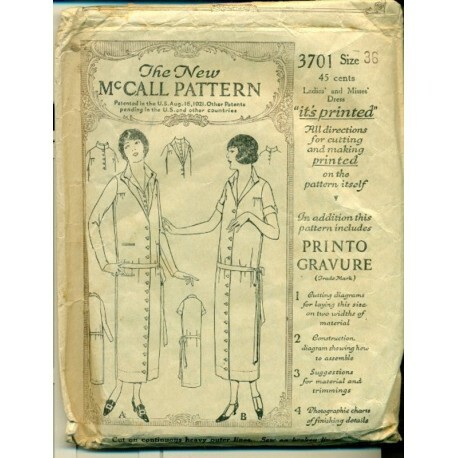 Authentic pattern - not a download or reproduction. 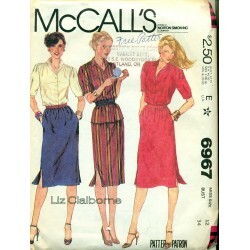 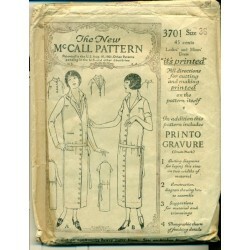 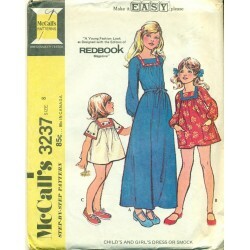 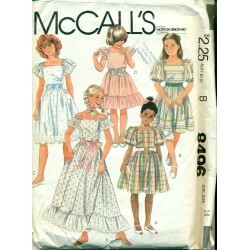 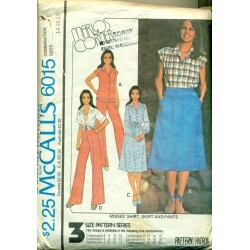 Thank you McCall Pattern Co. for this lovely dress sewing pattern from the 1920's. 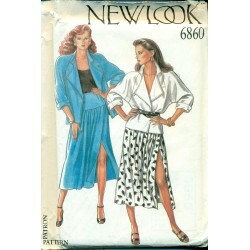 Button-up front lets you show as much or as little leg as you want. 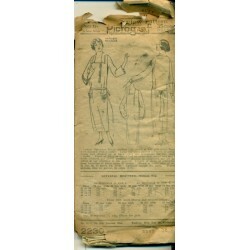 Condition : Checked and counted - complete with instructions. 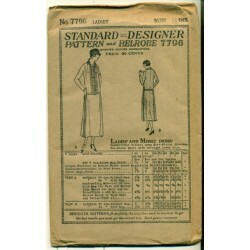 Some wear of envelope and one side has come loose.